Following Black Widow, Jeremy Renner’s Hawkeye will be the only founding Avenger in the MCU without a movie of his own. However, Disney+ may finally be putting Hawkeye into the spotlight. Variety is reporting that a Hawkeye miniseries of six to eight episodes is in development at Disney+. 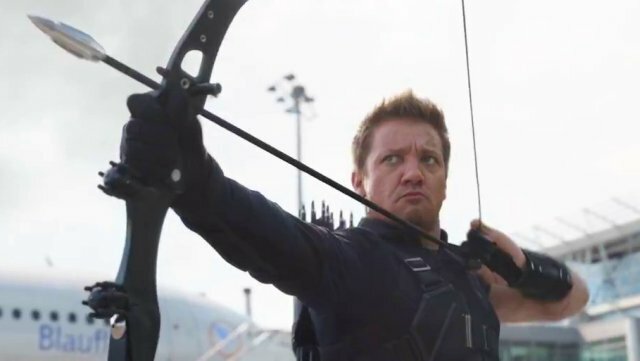 Renner is expected to reprise his role, and the story will reportedly revolve around Hawkeye passing the torch. Kate Bishop, the second Hawkeye, will co-star in the series as Clint Barton’s protégée. In the comics, Kate was a member of the Young Avengers who took over Hawkeye’s role while he was “dead.” After Clint’s return, he shared the codename with Kate and became her mentor. They have even co-headlined their own comic book series. A creative team isn’t currently attached to the Hawkeye series, but it will be produced by Marvel Studios. Kevin Feige will be overseeing the show, which will ensure greater connections to the MCU than the previous Marvel TV series. Disney+ is also developing shows for Loki, Vision and Scarlet Witch, as well as Falcon and Winter Soldier. All of the original stars are expected to reprise their roles on their respective series, which will run for six to eight episodes. The budget for each series is also reportedly much larger than a traditional TV show would have. Are you excited about the potential Hawkeye series on Disney+? Who would you cast as Kate Bishop? Let us know in the comment section below!